Milan is the fifth-largest city in the European Union and is recognized worldwide for being a design and fashion capital. 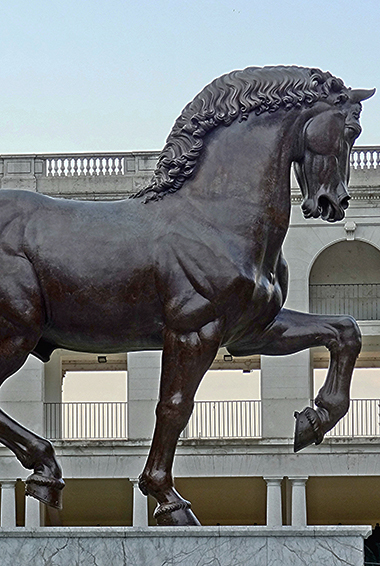 It’s set apart by the city’s glamor and passions – football, opera, and fashion. But it has glitz and a few historic sites, for me, Milan is a meh kind of city that didn’t really amaze me. A lot of Milanese people have even told me it’s a city in which to work and not play. In my opinion, the city is worth a visit if you’re passing through but not an extended one. With over 3,500 statues, 135 spires, and 5 bronze doors, it is not surprising to find that it took 500 years to complete this. Take the elevator up to the roof for amazing views of the city (and maybe the Alps if it’s a really clear day). The city’s symbol Madoninna is also perched atop the roof. Taking the stairs costs 11 EUR and the elevator costs 15. This park is host to Sforzesco castle, Civico Acquario, Triennaler di Milano, Torre Branca, tons of esoteric bars, and a lot more. This is a great area in which to wander for hours and it is nice to relax on the grass when you get tired. Built in the 15th century by Francesco Sforza, the castle now houses 12 mini-musuems and a vast archive of artifacts. Collections include everything from the Renaissance period, Michelangelo’s unfinished last work and Civiche Raccolte d’Arte Antica, to the Museums of Musical Instruments and Antique Art. Admission costs 5 EUR. 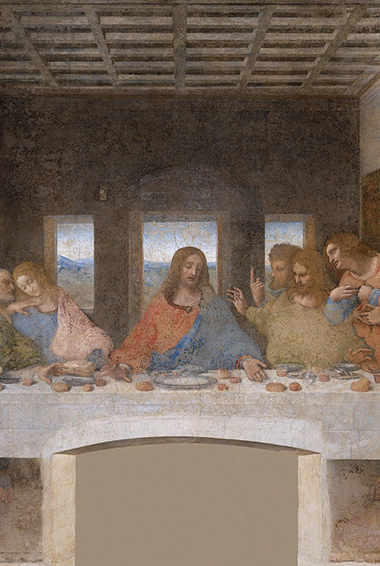 This Leonardo da Vinci masterpiece resides in the church of Santa Maria della Grazie. Surviving the trials and tribulations that history, this fresco has been remarkably preserved. Book in advance if you going during peak season. In the Piazella Dello Sporto, this bronze sculpture pays homage to one of Leonardo’s original designs. If you are planning to check out the San Siro track or stadium, it is worth stopping by this courtyard as well. If you are looking to spend some serious money or even just to do some serious gawking, then you have found a kindred spirit in the Galleria Vittorio Emanuele 11. This is an intense shopping establishment of formidable grandeur that took 12 years to construct. It’s home to fashion giants such as Prada and Gucci. If you are feeling up to the pinch, buy yourself a 12 EUR coffee and watch as the Milanese high society passes you by. If you are an avid football (soccer) fan, then book yourself tickets to a match at San Siro stadium. 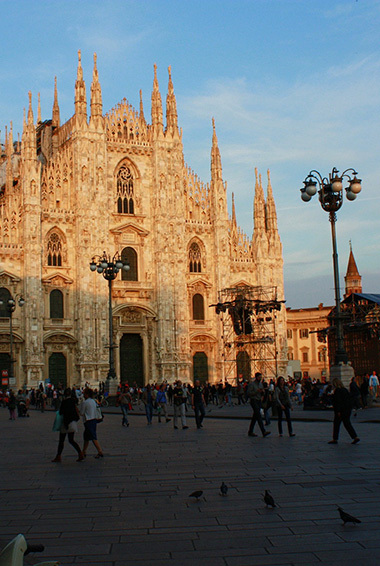 Milan is home to two of the world’s best football teams – AC Milan and Inter. Head there during the football season and it is likely that you might see either of these two playing in these famous grounds. While Milan is renowned for being home to fashion giants, it is also home to its fair share of flea markets too! Fiera di Senigallia, the city’s most popular and retro flea market, sells disco gear and comic books, among other things. Papiniano, a stone’s throw away, sells shoes and homewares. If you time your vacation for the end of the month, then a trip to the Antiquariato sul Naviglio could well be in order as it specializes in antiques. 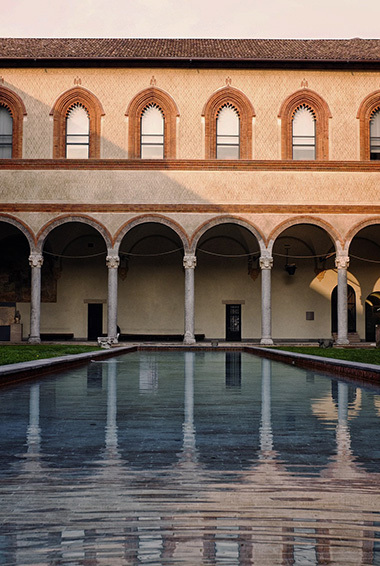 Fine-tune that sweet tooth for art even more by making a visit to the Pinacoteca di Brera. Although it doesn’t compare in size to the Sforzesco Castle, it certainly makes up for this by displaying some of the finest artwork by the likes of Raphael, Mantegna and Rembrandt. Admission is 10 EUR and it’s open daily (except Mondays) from 8:30am-7:15pm. Patches of greenery do exist in the midst of this urban jungle. One favored among the locals is the man-made lake, Idroscalo. Here you will find lovely parkland with areas to cycle, hike and have a barbecue. 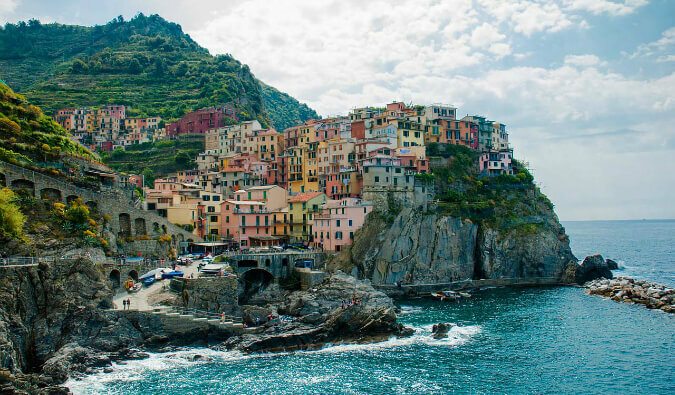 It’s almost like being on the Italian coast. Found in the northwest part of Milan, this street is home to several cafes, shops, and Baroque palaces. Notably, the Santa Maria delle Grazie church and convent are here, which houses The Last Supper. There are several metro stations nearby. There is an array of exhibitions held within the city year-round. You can check out anything from computers and industrial equipment to chocolate and wine. With some quick, simple research, you can add an exhibition into your trip. Surprised to hear that there are canals in Milan? Well, there are, two to be exact. Based in the Navigli district, they are very enchanting and to be enjoyed during the summer months when you can take a lazy boat trip whilst gazing upon the charming artist havens. This is a great neighborhood and makes for a restful break from the hustle and bustle of the city. Also known as the gardens of the Guastalla, these are some of the smaller but oldest gardens in the area. 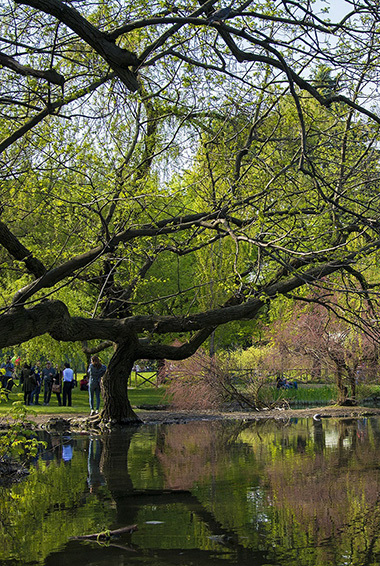 Dating back to the 16th century, the gardens have been open to the public since the early 1900s. They are near the Duomo and the University district. 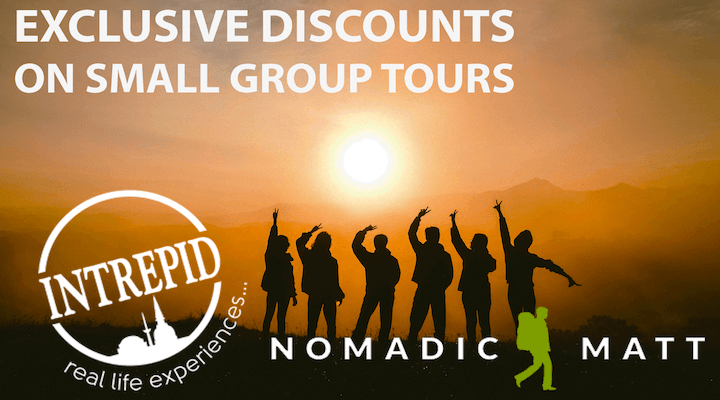 Hostel prices – You should expect to pay around 30-35 EUR a night for a 4-6 bed dorm room and around 70-80 EUR for a private room that sleeps two. The price usually includes free WiFi, free linens, and free WiFi. The HI hostel outside the city center is the best place to stay in the city. You can book your hostel with Hostelworld. Budget hotel prices – A night in a 2-star budget hotel in a room that sleeps two starts around 44 EUR (expect to pay double in the high season). Use Booking.com as they consistently return the cheapest rates. On Airbnb, you can find shared rooms starting around 12 EUR per night and entire homes (usually studio apartments) starting around 30 EUR per night. 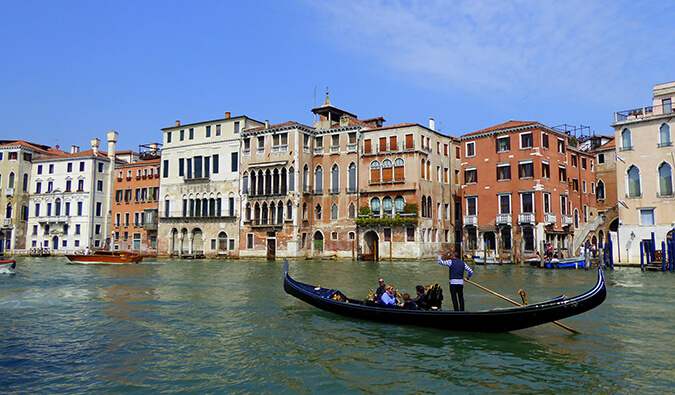 Average cost of food – Italy is known for its cuisine – fresh pasta, bread, tomatoes, pizza, gelato, and wine. It’s easy to have a great (and expensive) meal anywhere in Italy, but it’s also easy to eat for less than 15 EUR a day if you make the effort. Lunch in the city will start around 15 EUR, with dinner in a restaurant costing anywhere from 25-40 EUR. It’s normal to pay around 75 EUR for dinner in a nice place if you’re drinking. Quick eats like pizza by the slice, paninis, and light snacks will cost between 4-7 EUR. Consider getting a panzerotto at Luini (close to the Duomo and the Galleria). Fast food (i.e. McDonalds) will cost 9 EUR for a value meal. Expect to pay 60 EUR per week for groceries that will include pasta, vegetables, chicken, and other basic foods. If you find a discount grocer like Eurospin, In’s Mercato, LD Market, Lidl or Penny Market, you’ll pay a lot less. Transportation costs – Milan has a pretty good public transportation system. There are buses, trams, and subway (metro) lines. A single trip costs 1.50 EUR, a one-day pass is 4.50 EUR, and a ticket booklet of 10 rides is 14 EUR. Tickets are not available to purchase aboard the transportation. Taxi rides can be expensive, costing on average 20 EUR to get around town. But Uber, the taxi alternative, is available in Milan. Radiobus tickets cost about 3 EUR and run from Milan to neighboring towns. Going to and from the airport? 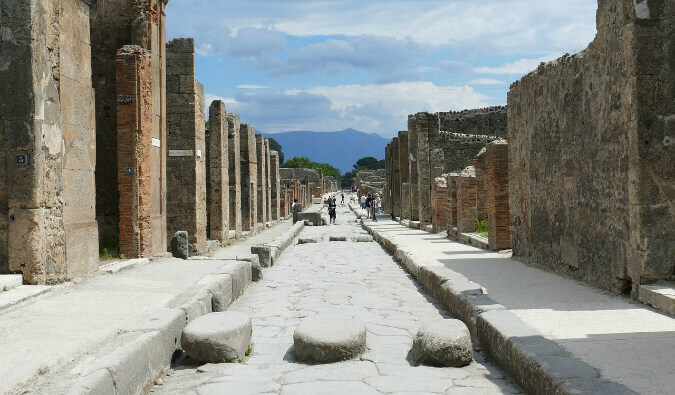 The Malpensa Express is a great way to zip in and out of town to catch your flight. It costs just 13 EUR from the airport to Milano Centrale. Don’t eat in Station Square – The restaurants around here are tourist traps and are vastly overpriced. Head about half a mile outside of this area for authentic and less expensive food. Avoid the taxis – Taxis are generally expensive, and at night there is an additional surcharge, so try to find alternative means of travel. Take the Radiobus – These run until 2 am. With tickets costing at most 3 EUR, are a good alternative to taxis after a night out. Do some cheap shopping – If you don’t want to miss out on the fashion experience, head to the Brera District for some less expensive, but trendy boutiques. Get a city pass – If you are going to do lots of sightseeing, the Milano Card or the Milan Pass will give you discounts or free entry to the top museums, tours, and attractions. It is priced to save you money when compared to buying separate tickets. Pass on the bread – Some restaurants will charge you extra for bread or breadsticks on the table but not tell you about it until the check comes, and you’ve polished it off. Drink the tap water – The water in Italy is safe to drink so avoid those expensive bottles of water and refill from the tap! You’re wallet and the environment will thank you. Buy lots of wine – You can buy a great bottle of wine for 4 EUR. Couchsurf – Make a local friend and get a free place to stay by couchsurfing! There’s a big community here so it’s easy to find a host! 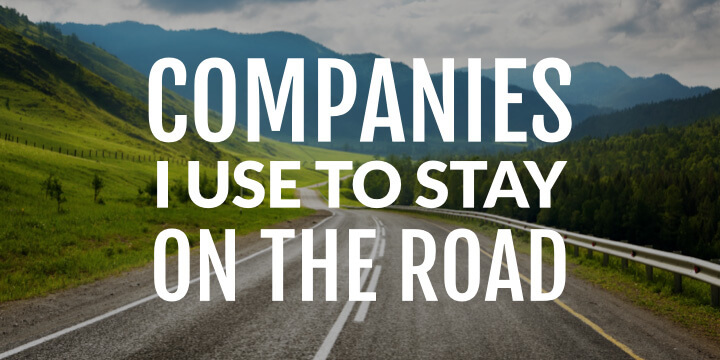 Save money on rideshares – Uber is way cheaper than taxis and are the best way to get around a city if you don’t want to wait for a bus or pay for a taxi. The Uber Pool option is where can you share a ride to get even better savings (though you can get your own car too). You can save $15 off your first Uber ride with this code: jlx6v. 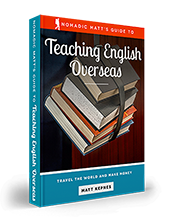 This book shows you how to take money out of the travel equation and and master the points and miles game. 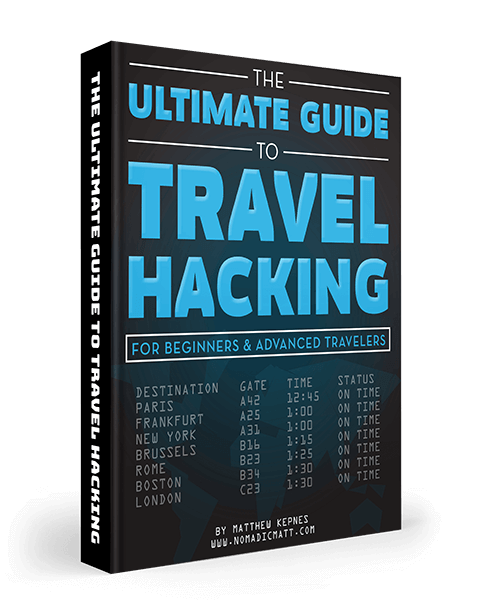 It will show you how to easily collect and redeem travel points for free airfare and accommodation so you can get you out of your house faster, cheaper, and in comfort. 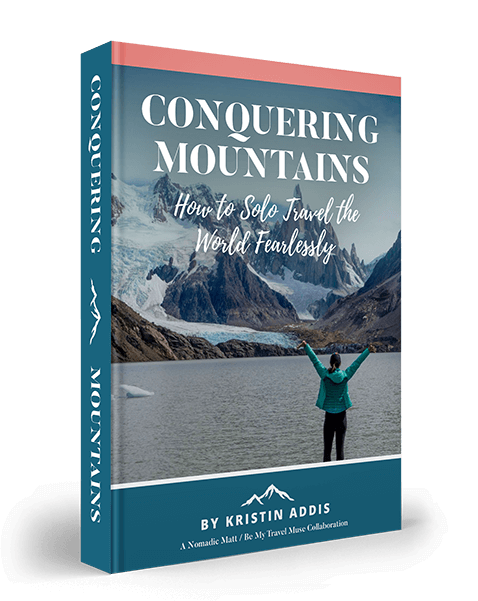 Kristin Addis writes the solo female travel column for this website and her detailed guide addresses all the concerns women have about traveling and gives the specific advice and tips you need to conquer the world and stay safe. This book will teach you everything you need to know about landing your dream job and features interviews with dozens of teachers, recruiters, detailed information on the top teaching destinations, sample resumes, advice on nailing your interview, and much more. 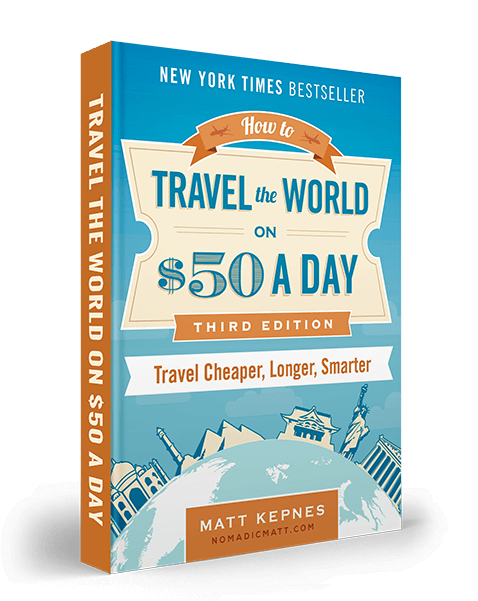 My New York Times best-selling paperback guide to world travel will teach how to master the art of travel so that, no matter how long you want to travel for, you’ll save money, get off the beaten path, and have a more local, richer travel experience.